Order follows Birds of Trinidad and Tobago (Helm Field Guides) . Photos and sound recordings will be updated as they are processed. 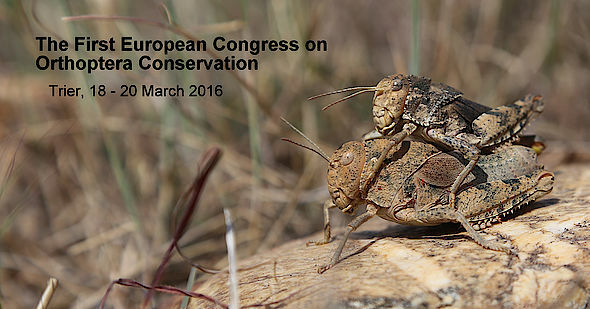 The First European Congress on Orthoptera Conservation will be held from 18 to 20 March 2016 at Trier University. The First European Congress on Orthoptera Conservation (ECOC) will be the first Pan-European meeting of Orthopterists, providing the opportunity to meet Orthopterologists from Europe and elsewhere. Trier is the oldest city in Germany and maintains some UNESCO World Heritage sites, such as the Roman buildings Porta Nigra, Imperial Baths, Basilika, Amphitheater, as well as the medieval cathedral. However, it also has a "Grasshopper Fountain". In an attempt to use the GoPro for something other than underwater photography, here is a video of the late stages of nest construction by a Bananaquit (Coereba flaveola luteola) from Tobago.